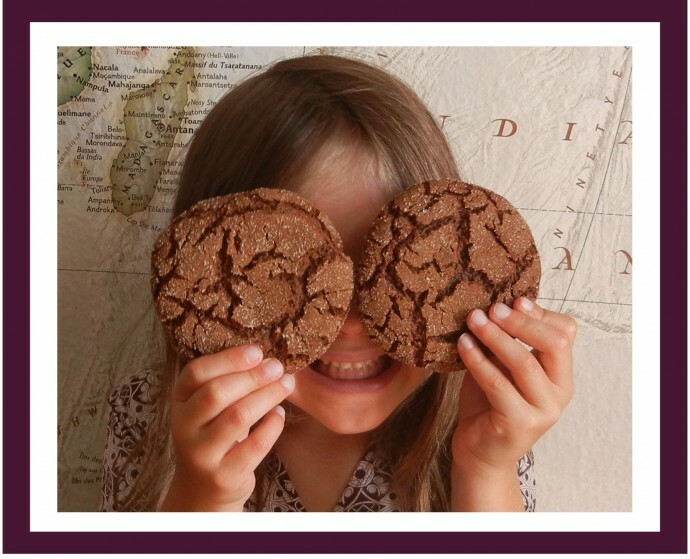 Let these ‘in your face’ ginger cookies snap back at you! Lots of ginger and spices leave an impression you won’t forget. Not passed down from Grandma (we love you Grammy), we used olive oil instead of butter and organic ingredients including flaxseed to make them even more healthy and satisfying. Takes 15 minutes to mix and 15 minutes to bake. Easy to make and the dough does not need to be cooled in the refrigerator or freezer before shaping! Flaxseed contains omega-3 fatty acids, protein, antioxidants and may even help fight cancer and diabetes! 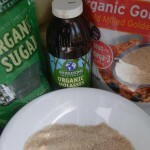 In a large bowl, mix together the brown sugar, olive oil, molasses, and egg. In another bowl, combine the flour, baking soda, salt, cloves, cinnamon, and ginger. Add the flour mixture to the molasses mixture and blend. Roll dough into balls (bigger than a golf ball for large cookies). Roll in sugar and flaxseed mixture. Place on ungreased cookie sheet at least 1 ½ inches apart. DO NOT press flat. Bake for 15 minutes (for large cookies) and cool on wire racks. CHOCOLATE! Dip half the cookie in dark chocolate or drizzle your favorite chocolate on top. BERRY CRAZY: Add cranberries on top before cooking. SWEET THING: Use white, raw sugar or the coarser versions of sugar for the coating, e.g., pearl sugar or sanding sugar. 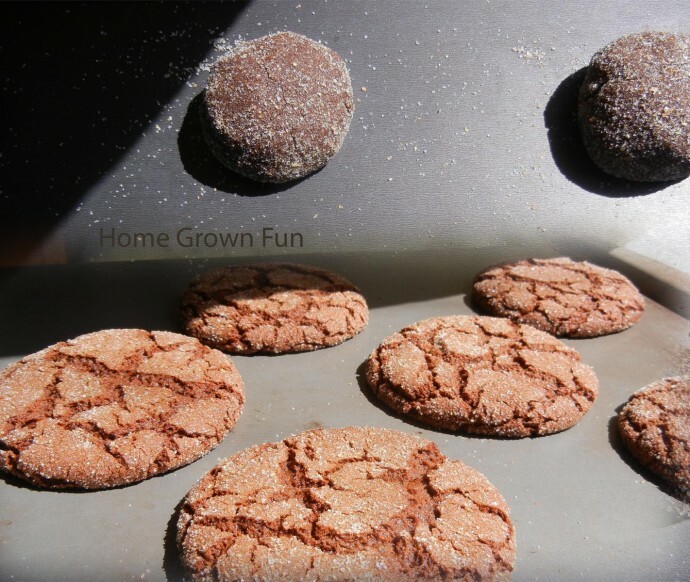 DOWNSIZE: Make smaller cookies and cook for 10-12 minutes. Yields about 32 small cookies. NIX THE FLAX: Omit the flaxseed in the coating. How would you get creative with this recipe or is it amazing as-is? Swiss Chard – My Hero!